‘Walk On By’, ‘(There’s ) Always Something There to Remind Me’, ‘What the World Needs Now Is Love’, ‘The Look of Love’, ‘I Say a Little Prayer’, ‘I’ll Never Fall in Love Again’. 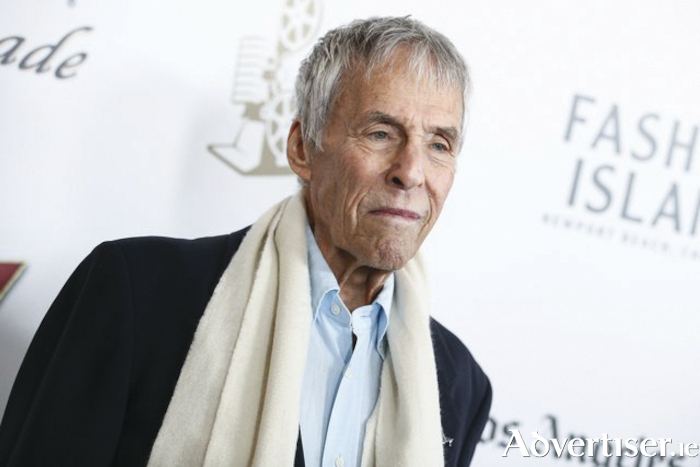 With Hal David, Burt Bacharach has written some of the greatest songs of the last 60 years. Along with David, Bacharach is also the co-writer of ‘I Just Don’t Know What to Do with Myself’, ‘Make It Easy on Yourself’, ‘Twenty Four Hours from Tulsa’, ‘Anyone Who Had a Heart’, and their songs have been performed by Aretha Franklin, Dione Warwick, The Beatles, Sandy Shaw, Dusty Springfield, Deacon Blue, The White Stripes, Tom Jones, The Walker Brothers, Gene Pitney, R.E.M., and Elvis Costello. Now aged 90, Bacharach is still going strong, leading his band, and performing concerts to appreciative audiences worldwide, and this summer he is coming to Galway to play the Heineken Big Top in the Fisheries Field on Monday July 22 as part of the Galway International Arts Festival. Bacharach is a three-time Academy Award winner, eight-time Grammy award winner, and Songwriters Hall of Fame inductee. Tickets are €59.50. This will be a fully-seated concert. Under 16s must be accompanied by an adult.